"The father of the Turks", this title was given to Mustafa Kemal Atatürk for his achievements as a leader and statesman of the new Turkish state. Despite the fact that he left traces in world history as a statesman and politician, he was also capable in the military field. During the First World War, he stopped the British landings in Galipoli (a plan drawn up by Winston Churchill), causing to the British Empire one of the most humiliating defeat of World War I, and this not only did him a national hero, but he was also considered as one of the most extraordinary Generals of the Great War. The figure of the Turkish state's creator, Mustafa Kemal Atatürk, has come out of the ordinary narrative and has become a myth and cult, an acceptable and legitimate cult of individ not only to his country's worshipers, but to millions of other people in the world aspiring to a rule of law. He stands stately and dignified in a special and privileged place in Turkey's history, of world history, and why not to the Albanian because of his distant Albanian blood. Even the Turkish state consideres a crime the offense of Ataturk. 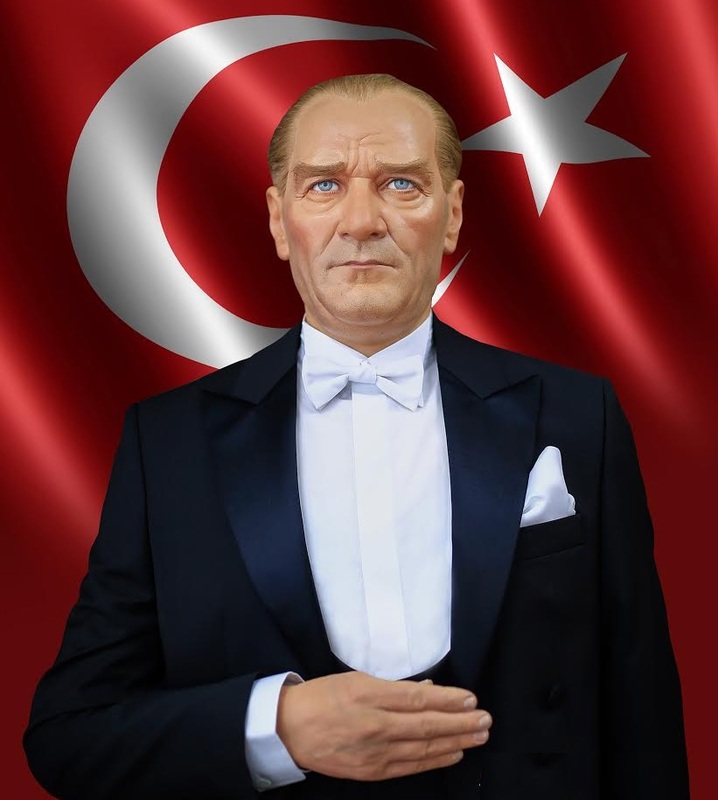 At every 10 November, Turkey's clock stoppes a few seconds in the honor of Ataturk, who died in 1938. Just as we like, as Albanians like that many political personalities of science and art of other countries that have had a distant Albanian origin, to call them Albanians, for Mustafa Kemal Atatürk our scholars and historians have been reserved and left room to foreigners to talk about this fact. Almost all of the biographers who have dealed with Qemal Ataturk's life and work do not overlook, but rather emphasize his Albanian origins. Although not far away from the Albanian genetic ones. Mustafa Kemal Atatürk has always maintained respect for Albanians and Albania. He enjoyed all the qualities of an Albanian in the Ottoman administration. He was realistic, full of energy and naked by the scruples. Unlike many native politicians, he did not enjoy any compromise. On the part of his father, Ali Riza Efendi, Ataturk was an Albanian. He came from Canka family and Ataturk's grandfather from his father, Pirush Canka, lived in Stebleva village of Grande Dibra (12 km from Librazhd and 23 km from Struga) before migrating to Thessaloniki (the most thriving city after Istanbul In the Ottoman Empire), Greece in 1861. 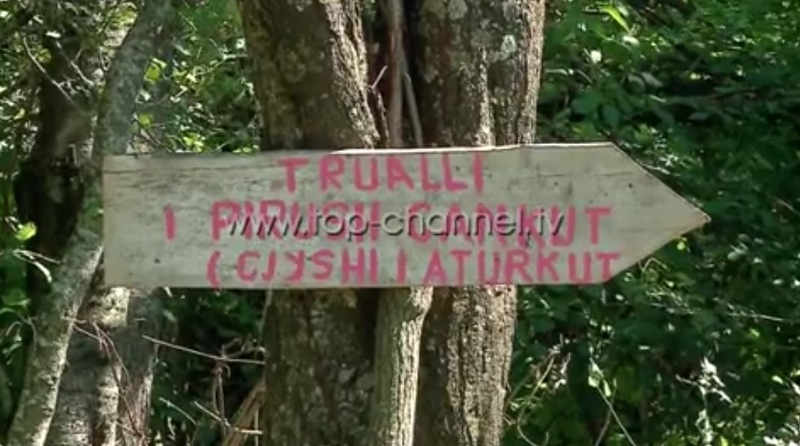 They owned their land in Debar until 1945 when the communists came to power. Even today there is the field of CAnka, the property of Mustafa's grandfather. 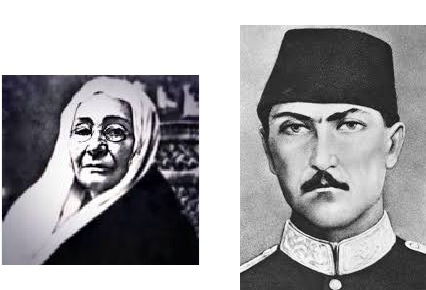 Regarding the mother's side, Zybejde Hanim, she was from Thessaloniki but was assumed, as the locals in Thessaloniki recalled that her family came from somewhere in South Albania. Ataturk's father died when he was only 7 years old. He was named Kemal by a mathematician teacher in Bitola. Because Mustafa was exelent in school, his teacher, Kemal, called him "Kemal", which in Arabic means "perfect". During the 30s with the creation of the new Turkish state, he was registered on an identity card named Kemal Ataturk. In the territorial division during communism, the locals at Stebleve claim that Ataturk paid a lot of money to build the tap near the village of Terzica, Stebleva, in the village of his grandfather. Its Albanian origin is also supported by the fact that about 14 families from Stebleva (Albanian speaking area) migrated to Thessaloniki in 1861 by not considering thus the Atatürk family move an unique case. We have some evidence to prove the origins and admiration of Ataturk for Albanians. A boy from Dibra who lived in Istanbul heard the perception of Istanbul to offend Albanians. He killed him and then was arrested by authorities and was sentenced to death. His friends begged Ataturk to save his life. After listening carefully he said, "He will not be killed, but he must go to exile." During 1926 Dail Ereqi and Gjelë Agushi from Stebleva, who worked as masons in Istanbul. They met Mustafa Kemal during the restauration of a Mosque in the city. They did not know who he was at that time. He praised their work by commending them that the Mosque seemed more beautiful than it was before the war, then asked them where they were from. They responded from Albania, and then asked them from which region. One said from Golloborda and the other from Stebleva. Then they saw that Mustafa pulled out a notebook out of pocket. "I'm also from there, Stebleva. My grandfather inherited to me the Conkuca Ograda (areas in Conko, a term used by the Bulgarian administration to register lands). So do you need anything? He replied." Then they said that had been working for years in Turkey as emigrants, under very bad conditions. Shortly thereafter, Mustafa ordered the authorities to grant to them Turkish statehood as well as two houses. Which were "better than the Turkish homes themselves". Tablet in Stebleva, which runs from the lands of Atatürk's grandfather. Received from Exclusive, Top Channel. Another story of the time comes when a group of Albanians were being deported from Turkey. After looking at the list Mustafa Qemali took the pen and wrote his name at the top of the list. His secretary did not understand why he did so and after asking him, Mustafa replied, "I put the name on top because I am Albanian too." Then the order was canceled. Qemal Stafa's father, Colonel Hasan Stafa, had acquaintance and friendship with Mustafa Kemal. 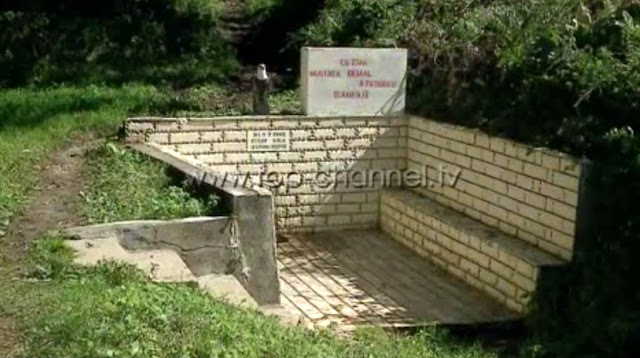 He was originally from a neighboring village of Stebleva, Zanun, in Debar. They were close friends and carried out military studies in Bitola. And later in Istanbul. When Albania declared its independence. Mustafa Qemali begged Hasan Stafa to stay in Turkey to fortify the Turkish army. But their ways were separated. As a sign of respect for their old friendship Hasan named his son Kemal, Kemal Stafa (One of the founders of the Albanian Communist Party). A confession comes from the Albanian consul in Turkey in the 1920s, Nezir Leskoviku: "When I was in Tirana talking to friends at a cafeteria near the "Big Clock", a former Turkish army officer who had served in Kemal Ataturk Guard approached us. One day Ataturk had asked the officer to bring the horse, but he was angry and said "Eyer?" The confused officer did not knew what the word "eyer" meant. Then Ataturk said to him: "Where is the saddle?" Then the officer said that at that moment he realized that he spoke Albanian. Another convincing fact that Mustafa Kemal was Albanian came from a diplomat from Kolonja, Asaf Xhashuli. When he presented the credentials to Mustafa Kemal read them in French. Ataturk interrupted him and said, "Please do not speak French, but Turkish or Albanian, because I understand Albanian." Also people say that Mihal Grameno and Bajo Topulli (Albanian National Renaissance Activists) met with Mustafa Kemal in Thessaloniki and all the three spoke in Albanian. In 1984, in the framework of the 60th anniversary of the formation of the new Turkish state, was opened at the Palace of Culture in Tirana an exhibition dedicated to modern Turkey and to the architect this modern state, Ataturk. Also in the tree of the genesis of the family of Kemal Ataturk is confirmed his Albanian origin and his homeland in Thessaloniki. The Cicero of the exhibition, a Turkish citizen of Kosovar origin claimed that Ataturk was originally from Albania's Diber, says Ramazan Hoxha, author of the book: 'Stebleva, story and figure'. Turkey's new Lord disbanded Turkey from the past and this would be complete in all areas: constitutional, legal, religious, political, social and cultural. Ataturk proved to be very energetic in his struggle against old structures and traditions. He seemed to shake his people harder to wake up and to open their eyes to the western light. This tendency toward West may be influenced by his visit to Western Europe, his famous quote on this experience follows: "There are many cultures but only a civilization, the European one."